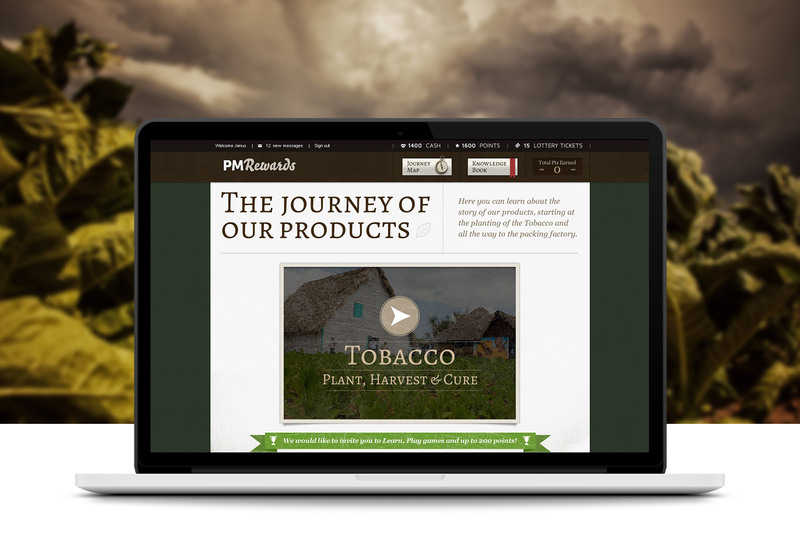 The Product Knowledge site of Philip Morris Brand was a very interresting and immerging project. 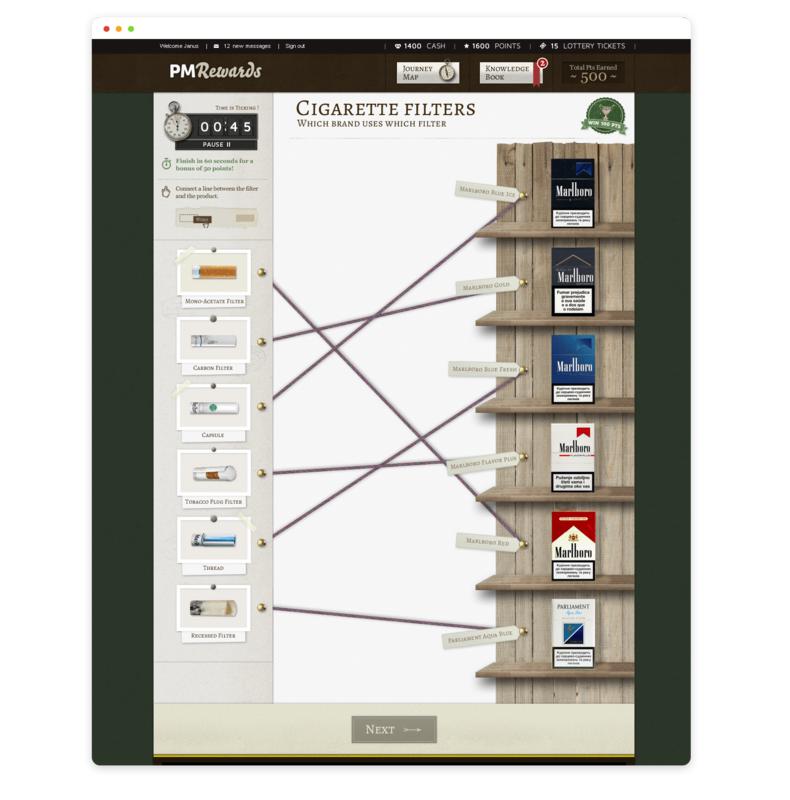 This site intends to teach Philip morris' resellers about the origin of their products in a serie of weekly lessons and mini games. 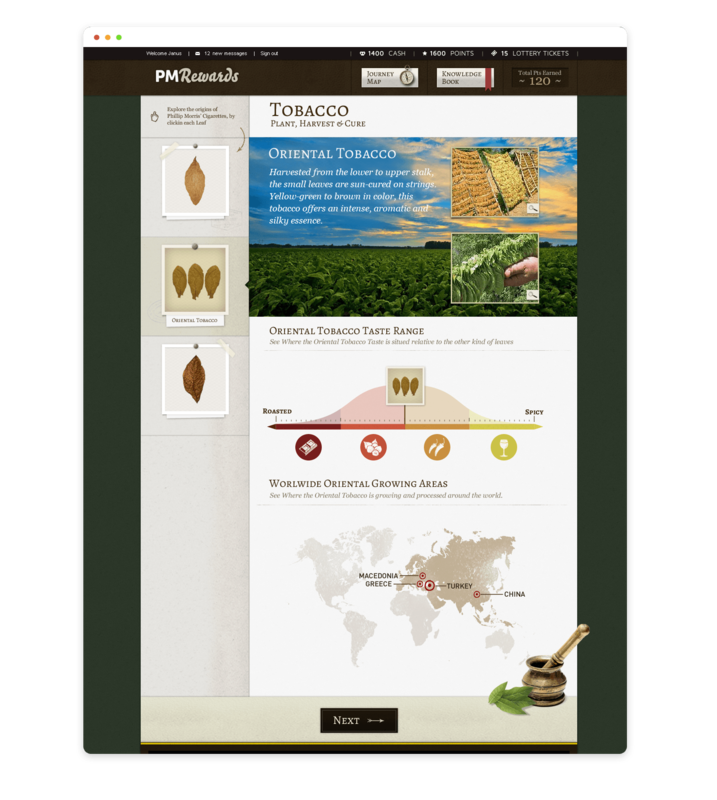 The entire theme and DNA of the website was oriented to rediscover the passionating journey of the tobacco from all over the world, and also by helping to understand the history of the world biggest tobacco company. 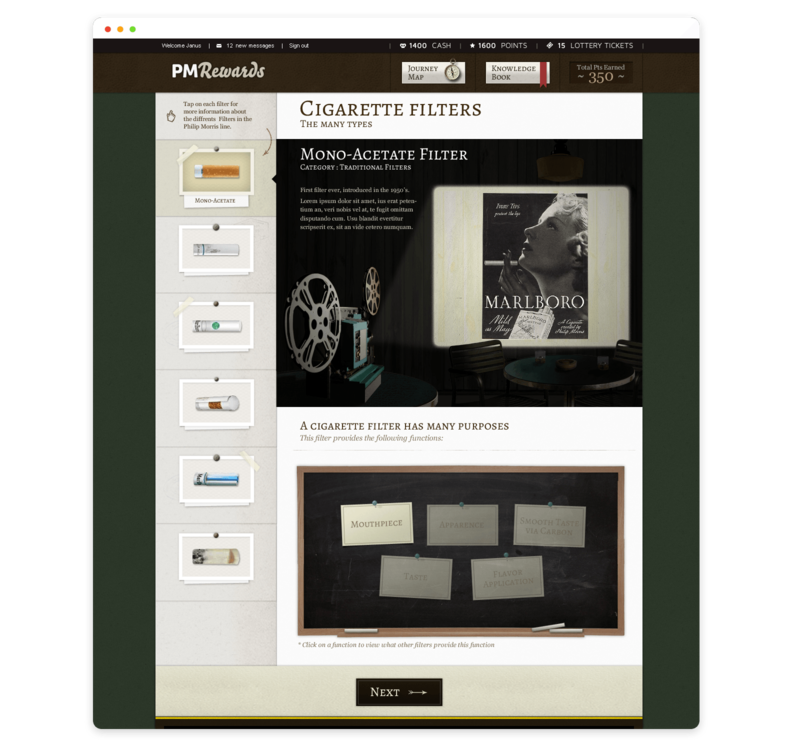 The main inspiration for this project directly comes from the old fashionned imagery of the tobacco industry. 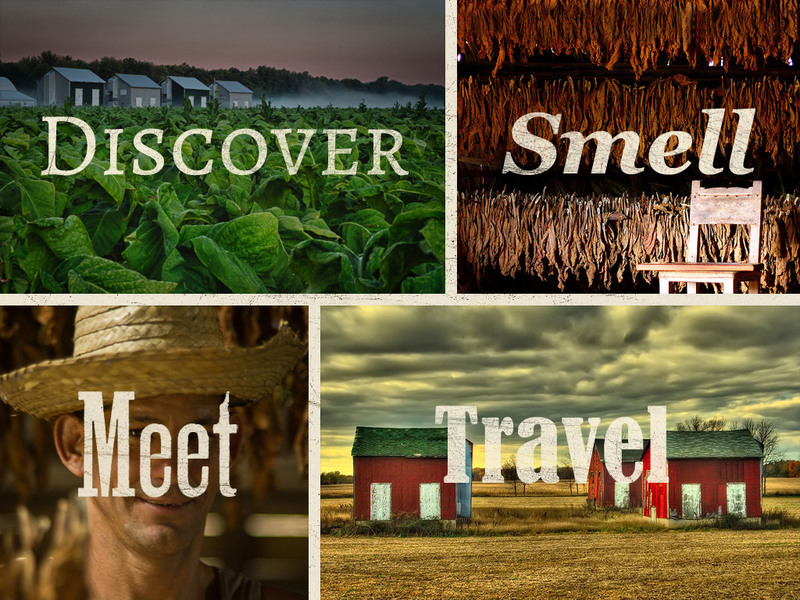 The colors, the textures, even the typography elements try to reflect this very specific athmosphere found in places such tobacco farms. Through this website, I tried to interpret this visual ecosystem and to integrate it into a modern friendly interface. 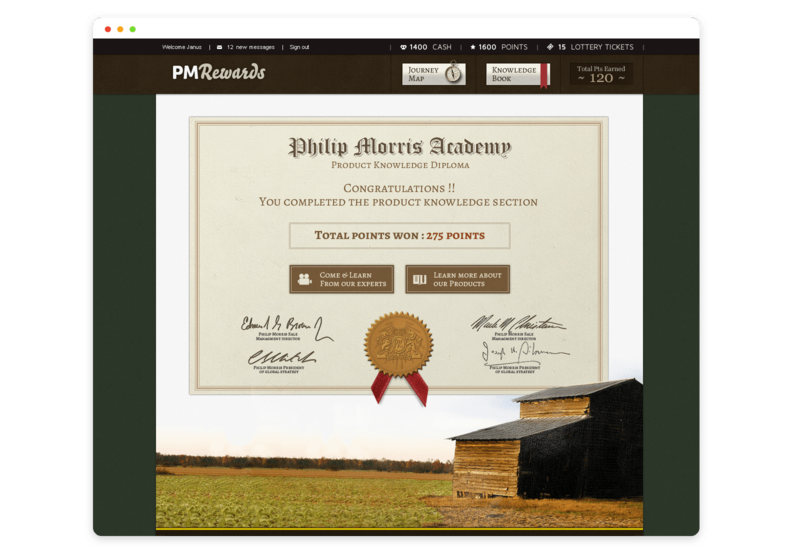 The main purpose of this entire platform is to teach resselers about the phillip morris' line of products. Every aspects that could actually contains relevant information to the them are mentionned in this website. The archiceture of site is divided into weekly chapters, which extrapolate on a specific subejct within the products creation. 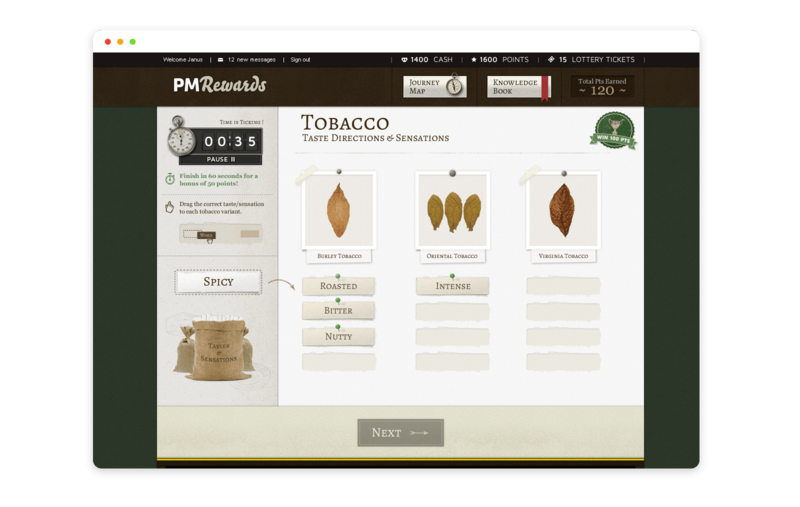 From the origin of each type of tobacco leaf to the color of the packaging or brands, all those details are simply explained via inforgraphics and clear visuals. In order to teach resellers while keeping them interested, we developped a serie of very simple but memorable minigames which add a layer of fun to the whole experience. 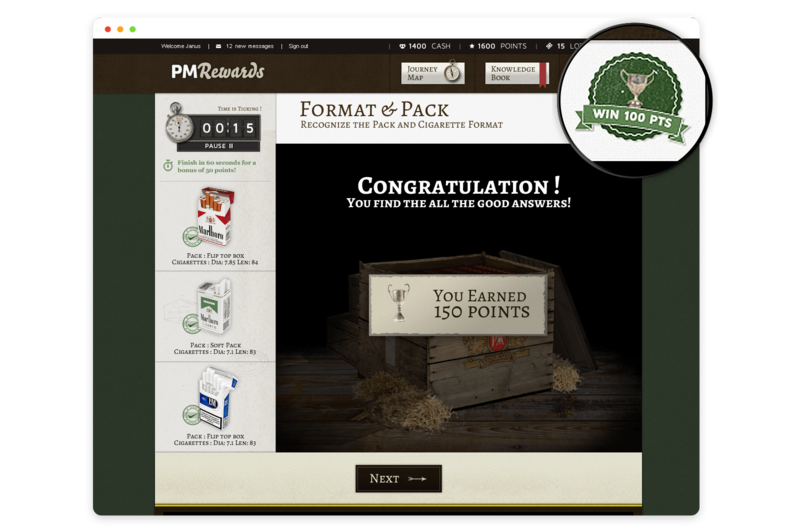 Each minigame gives you some points towards unlocking new chapters, and continue to learn additional knowledge. Each chapter is divided in two parts, the first one introduces the subject by giving to the user facts which he should knows and remember, and the second part is the actual mini game that checks if the user understood and integrate the information previously explained.